Danton Troyer brought his individual practice to Moneta in 2018 after more than a decade on his own. Adding the support of an Enterprise Service Team and the resources of Barron’s No. 4 nationally ranked independent RIA firm to Danton’s personal expertise and care for his clients made quite the dynamic combination. As your Family CFO, Danton delivers high level service and advice while giving you and your personal financial circumstances the individual attention you deserve. You can trust him to help you navigate life’s many major financial transitions while protecting your savings and assets. He excels in developing sophisticated solutions for complex tax challenges, education expenses, business ventures, philanthropy, retirement and multi-generational legacies. 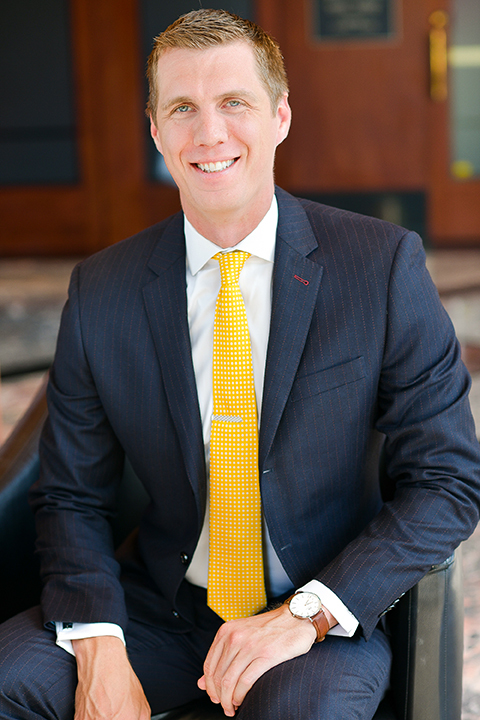 Danton earned his bachelor’s degree from Missouri State University in 2005 before moving back to St. Louis to start his career as a Financial Advisor. He earned his CFP™ credentials in 2010. Danton married his wife, Teresa, in 2005. Teresa is a kindergarten teacher, and their daughter, Cora, keeps them busy with soccer, swimming, piano and whatever else she can join. Danton enjoys golfing, traveling and staying active outside the office.